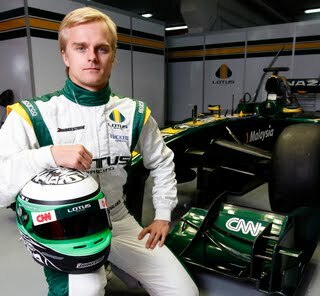 In case you haven’t heard already, this morning Lotus Racing and CNN International announced there new partnership deal. Here’s an excerpt of the press release that was sent to No Fenders. Lotus Racing and CNN International have today announced a partnership deal that sees the newest Formula One™ team entering into a long-term agreement with the world’s leading news network. CNN’s world-famous logo will feature on the T127 race cars, the drivers’ overalls and on all team clothing. The deal will be managed by CNN’s commercial ‘Partner Solutions Group’, which is led by Rani R. Raad, senior vice president of CNN International Advertising Sales.